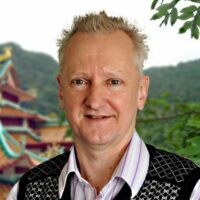 Alan Jansson has been studying Traditional Japanese Acupuncture (TJM) with the guidance of the master Japanese acupuncture physician, Masakazu Ikeda Sensei in Japan and Australia for the last 17 years. With over 50 workshops and seminars having been presented by Alan in the USA, Australia, Portugal and the Czech Republic, the upcoming workshop in Auckland is likely to be fully subscribed. It has been over 10 years since Alan last presented in New Zealand and he is looking forward to delivering his next two day workshop as well as a bit of surfing in the Corromandals. The Auckland hands on seminar and workshop will include reviewing the essential theoretical components of Japanese style diagnosis and how to perform the important “root” treatments that are the key ingredient to clinical success. 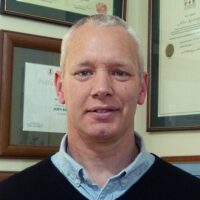 Alan welcomes any of the seminar attendees to visit him in Queensland to work alongside him in his clinic to further their learning and gain extra practical experience. It is a rare day in his practice when Alan is not only seeing patients but teaching others at the same time as practitioners travel to work with him from all over the world. Contact Heiko Lade or call on 021 868 138 if you have any questions. Have a look at Alan’s YouTube promoting this seminar. Accommodation suggestion update: There is an Eminem concert as well as night football on that weekend and most local motels are already booked out. You can try The Epsom Motel, 232 Green Lane West and put your name for cancellations. Please quote Alan Jansson Seminar.